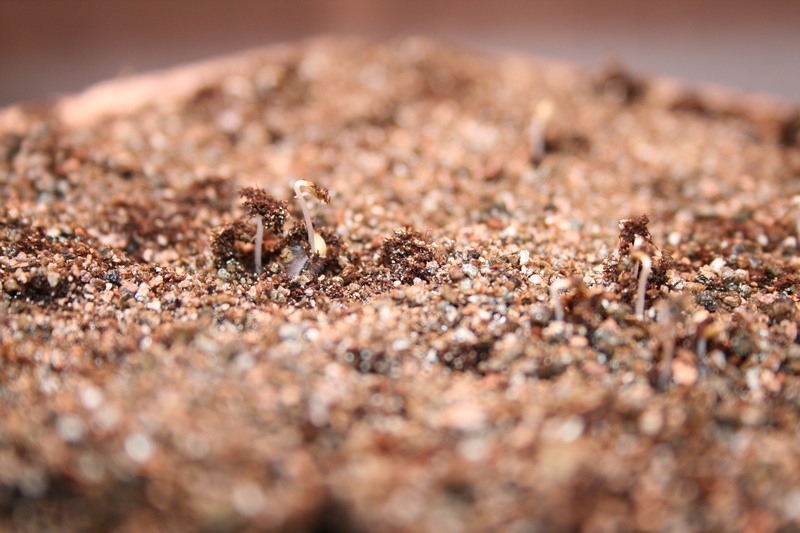 ← Starting Seeds Indoors – IT’S TIME! Tiny lettuce plants in grow tray. Look closely. Can you see them? Tiny, the size of a filament, maybe a bit bigger than a human hair. You are looking a freshly sprouted lettuce. I tucked these seeds in this grow tray 3 days ago – moist seed starting mix, a dash of vermiculite on top and water in the tray. They came up on their own. Lettuce likes the cold and doesn’t need light to sprout. Once they stick their heads up out of the soil, all you have to do is keep the soil moist and the light on (for 10 hours) and close to the seedlings so they don’t get spindly. 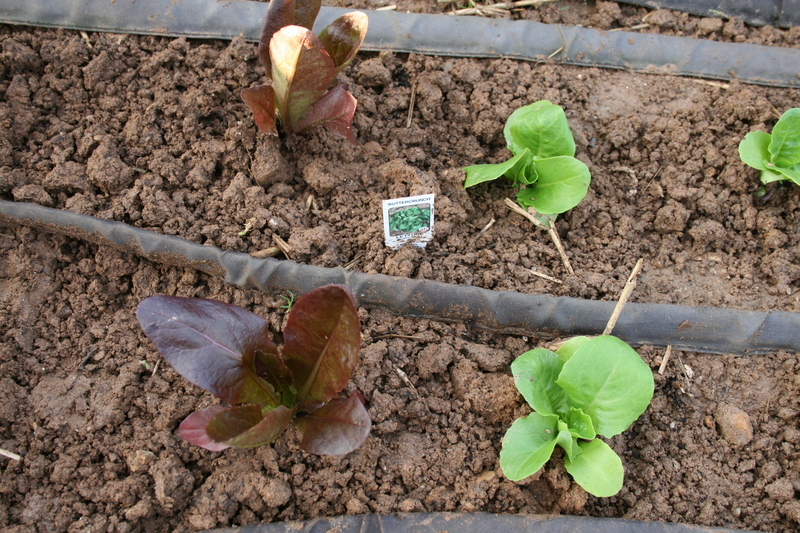 Lettuce plants just before transplant. In 4 or 5 weeks, these tiny plants will look like these babies, which are about ready to be hardened off and transplanted so they can enjoy the cool days and cooler nights of early spring. I put my first crop of lettuce in the ground when the price for 12 ounces of the organic stuff hit $5.98 a bag. That comes to $18 a week for just a bit over a pound of green leafy lettuce. I haven’t looked back since. Lettuce is one of the easiest crops I have ever raised. And, it’s a two-fer! Save your seeds and pay no more (well maybe you’ll have to buy seed every 3 or 4 years). Just keep planting and harvesting. If you want to grow organic, you have to be particular about whose seed you buy. I want organic seed, especially if I plan on saving and sowing. And I want flavorful leaf lettuce — not head lettuce you have to chop with a cleaver. And I definitely do not want Genetically Modified (GMO) seed. Adaptive Seeds – this is relatively new company, established in 2009 and based at Open Oak Farm in Sweet Home, Oregon. Their seeds are absolutely wonderful. The moving forces behind this company – Sarah Kleeger and Andrew Still — are devoted to “…finding, stewarding and sharing rare, diverse and resilient seed varieties for ecologically-minded farmers, gardeners and seed savers.” They sell only public domain, open pollinated (OP) seed, as well as many diverse gene pool mixes. Hudson Valley Seed Library – the variety they offer is impressive. Their seed is locally grown in a climate and soil not unlike mine here in Zone 6b. And this company helps support school and community gardeners with donations of seeds. Territorial Seeds – kind of the granddaddy of organic seed growers, this company was organic before organic went mainstream. Family owned, Territorial Seeds has a fantastic reputation for the seeds it sells and the customer service it brings to the table. Grow Italian – I discovered this company more than a decade ago and it’s my go to seed company for all things Italian including some lettuce and mixed greens. When you buy a packet of lattuga from them, you get high quality, high-germinating seeds and a lot of them. I think the hardest part of growing lettuce is picking the kinds you want to try. But once you have your seeds, planting is so easy, you’ll wonder why you didn’t do it sooner. I supplement my indoor seedlings by sowing seeds right in the garden bed. One problem with sowing lettuce is that the seeds are small and lightweight and they tend to drop into the dirt in clumps or blow off my hand. I used to have a hard time getting them to spread out on the soil but here’s a trick my sister taught me. Get some soil – take it from your garden if it’s rich and light or grab some potting mix. Fill a quart jar about 2/3rds full of the soil. Shake the jar until all the seeds are mixed, uniformly, through the soil. Gently shake the soil out of the jar and into your beds. If you can still see some of them, put just a tiny bit of dirt over the visible ones. Then all you have to do is water every day until the seeds sprout. Then water weekly and wait for the lettuce to grow. Don’t plant in the summer! Lettuce, like beets, likes cool weather. Plant in the spring and again in August for harvest in late September and October. 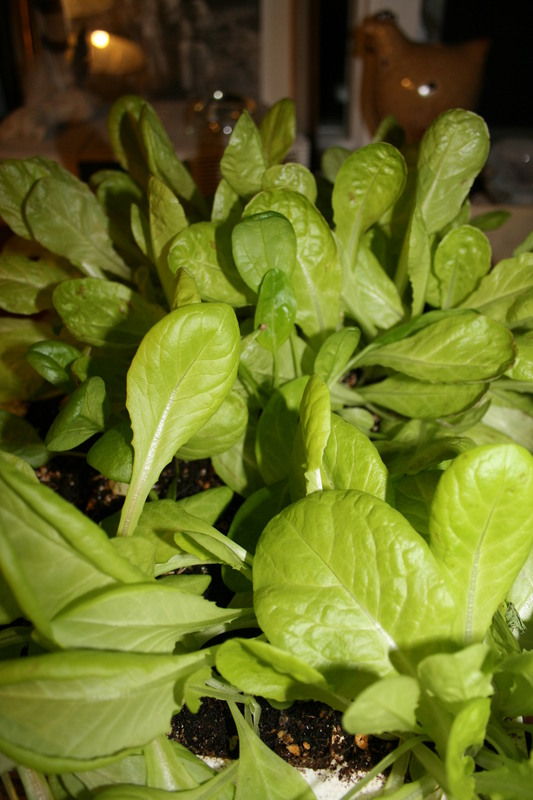 Start lettuce plants indoors if you want. I use 40-cell growing trays and start mine in early February. When I transplant, I cover the babies with a small tunnel to protect them from frost. When you cut lettuce leaves, don’t cut them down to the ground. Cut about an inch from the bottom and you will get a second crop. If you want to save the seeds, plant for a spring harvest but only cut the first crop. Let the second set of lettuce leaves grow up and flower. Then wait. It will be tempting to take the flower heads off when they get their puffy, white hair. DON’T. The seeds need to mature. Wait until the heads are dry, brown and about ready to burst. Then pull the seed heads off, take the seeds out and let them dry in a small strainer for a couple of weeks. I refrigerate mine once they’re dry and plant them in the fall. So while the wind howls around our house, I am happily ensconced in the basement playing with and planting lettuce seeds. Excerpted from my book – Grow So Easy: Organic Gardening for the Rest of Us – a guide to easy, fun and productive organic gardening for everyone. This entry was posted in Gardening Tips, Organic Gardening, Seeds & Seed Starting, Tools for the Organic Gardener and tagged food, growing lettuce, master gardeners, organic gardening, territorial seeds, tips for growing lettuce. Bookmark the permalink. Great article, Pat. 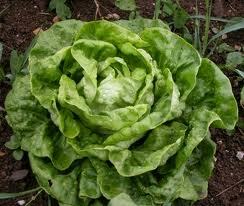 I never knew how wonderful lettuce could be until I grew it at home! Soft, tender, and flavorful. I never knew how easy it was to save seeds until we had some self-seed; then I thought, wow, I should save those seeds!. Each year we let several go to seed for harvest and wind up getting “volunteers” (bonus lettuce!) in several places throughout the season as well. FUN. Me too! On all counts….and don’t you just love the sweet flavor of the lettuce? Not bitter, no vague flavor. Who knew? Happy growing kiddo. Lettuce is one of my favorite ways to open the door on spring. Quick, easy and tasty. Cannot beat it. Enjoy the season Helen!